A video of yesterday's PR stunt in London has now been released, not that there's really anything too significant in it. So they got some people to walk into a thing and started waving their hands in their faces? Aren't the supports/foundations for the bottom of the chain lift underneath the point where the hill changes gradient? I'm thinking that this could potentially be a case of a magnetic system being used for the first part, in order to take it up to speed, followed by a fast chain lift system. To me that totally looks like sticks/branches sticking out of the top. 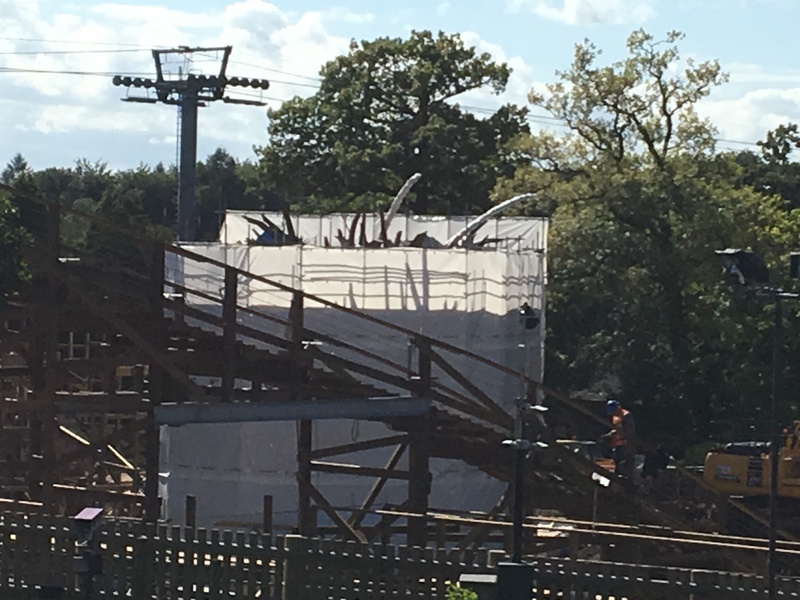 These pictures confirm that Universal Rocks will almost certainly be working on the theming structure, at least.